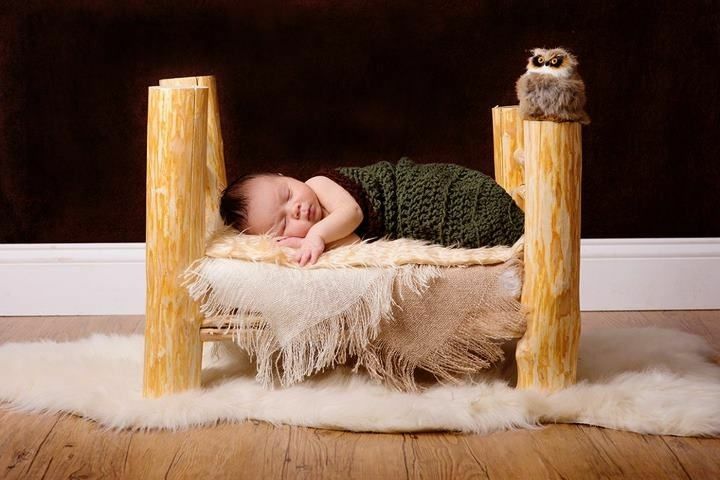 This adorable rustic log bed is perfect for your baby shoot. It measures approx. 18" high x 16" wide x 22" long. It has a flat plywood platform. Blanket in photo not included. Due to the variations in available trees to use when building color could vary slightly.